tailored black man in a suit, tie and vest, Dr. Frank Adams is the quintessential king of cool. Before I can even introduce myself, he’s improvising a tune on his clarinet. For the next couple of hours, Adams tells stories of his early years in jazz. 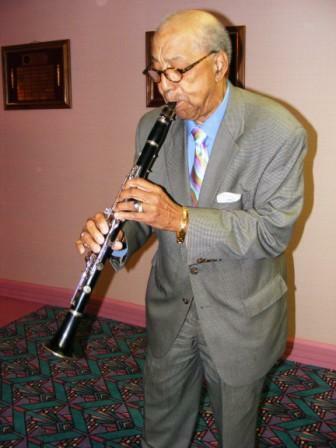 A top clarinet and saxophone soloist, he played with all the greats – Duke Ellington, Tiny Bradshaw, and Sun Ra. 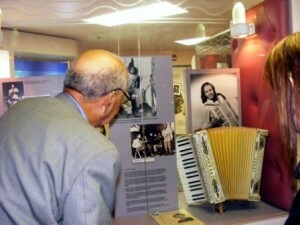 Standing in front of a display case filled with photographs of Ella Fitzgerald, he talks about the first time he met her after his high school band performed. Touring the museum with Adams, now 83, is the epitome of oral history, an unforgettable opportunity to get up close and personal with one of America’s greatest side men. when Adams, clearly the heart and soul of this museum, has to pack it in. Honoring more than 200 Alabama-born performers, promoters, broadcasters, music publishing and recording leaders, the 2,200-square-feet museum exhibits photographs, costumes, instruments, and personal effects of jazz legends. The latest members were inducted in 2008. With little visitor traffic most of the year (the ticket seller says it picks up somewhat during the summer), the future of the museum seems a question mark. Located in a seedy section of the historic Civil Rights District in the two-story Art Deco Carver Theatre for the Performing Arts, the museum is way off the beaten track. 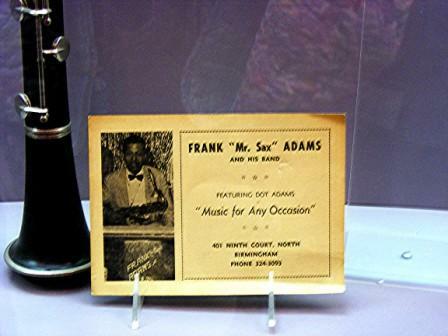 Like the Alabama Music Hall of Fame in Tuscumbia, a state-financed museum scheduled to lose 100 percent of its funding in 2012, this temple to jazz innovation might also collapse under economic pressures. A trumpet is blowing; musicians are easing in and out of a set, and the smell of Bar-B-Q from a grill in the corner perfumes the air. Everyone who can squeezes into a tin roofed shack in the backyard of Henry Gipson’s home. A big burly bearded musician leaves his guitar, and disappears off stage. Suddenly he’s back, weaving through the crowd, dispensing Southern “medicine” (good ol’ fashioned moonshine) from mason jars. Welcome to Gip’s Place, a funky juke joint in Bessemer on the outskirts of Birmingham, the type of late night music dive that originated during slavery as a place for blacks to socialize. After the Emancipation Proclamation, they became popular hangouts for dancing, boogie woogie, blues, ragtime and moonshine. If you’re steady on your feet (no disabled access here, and better leave the high heels home in case of mud or rain); have a good sense of direction, and don’t mind thrift store décor, Gip’s , one of the last of a dying breed, will give you a taste of what the real South was like decades ago. But it’s only open on Saturday night. When the waitress presented my appetizer – a tower ofhomemade flatbread with smoked salmon and mascarpone, I gasped, not sure whether to reach for the camera or a fork. This was just the start of poetry on a plate at Frank Stitt’s Italian Bottega Restaurant and Café in downtown South Birmingham. Lunch is served at the more informal Café and dinner at the restaurant. 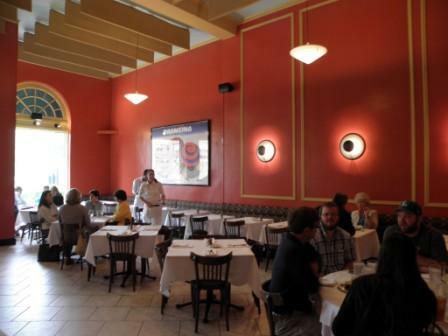 On the next block is his Highlands Bar and Grill, serving Southern cuisine with a French twist, a three-time finalist for the James Beard Award for Outstanding Restaurant. Chez Fonfon, famous for its pate´, burgers, crab cakes and boules games in itscourtyard, is next door. And that’s what amazes me.Although Alabama markets itself as a “value” destination, it has several outstanding fine dining venues. Frank Stitt, nominated 10 times for the James Beard Award for Outstanding Restaurant, and the 2001 winner of Best Chef: South has four signature downtown restaurants. While Birmingham’s median household income is $26,735, there’s nothing bargain priced about a fine dining experience at Stitt’s. 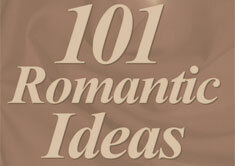 The tab for a couple before wine can easily set you back $110. this award-winning property built to resemble a Scottish castle. Opened in 2005, the resort’s outstanding customer service, Robert Trent Jones Golf Trail (the third longest in the world), hiking and cycling trails, and 12,000-square-foot European spa quickly elevated it to the top luxury property in the state. Having discovered that Birmingham is a foodie haven, I shouldn’t have been surprised at the stellar quality and presentation of the food at Brock’s, its Mediterranean themed fining restaurant, but I was. 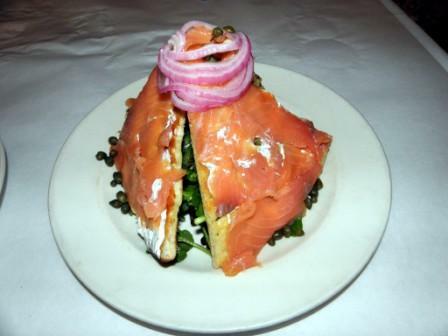 Its main courses come in sizes and at prices to suit every appetite and budget. (The signature seared scallops with cauliflower, Marcona almonds, green beans, capers and aged Balsamic comes in two platings – $12 and $24). The table overlooked the pool and waterfall, a perfect setting for romance. Even if you can’t time your trip right to catch Birmingham’s musical quirky high spots when they’re open and Adams is still the guide at the Jazz Hall of Fame, a foodie weekend in the city still hits the right note. Richard N. Every is a professional travel photojournalist. All photos courtesy of Richard N. Every.